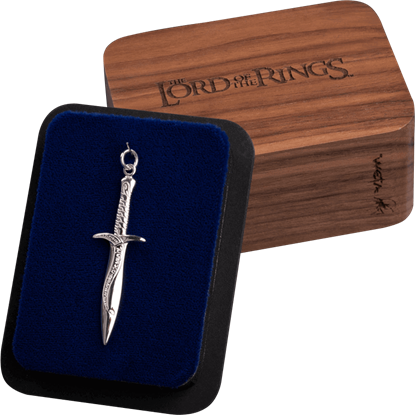 Jewelry is a surprisingly important aspect of the Lord of the Rings trilogy. After all, the whole series is based around one ring that possesses such immense power that it could condemn the world to darkness if it falls into the wrong hands. And here we offer a number of inspirations and recreations of the trilogys most famous pieces. Of course, the series is most famous for one piece of jewelry, and you can bet that we offer that. The One Ring is what gives the trilogy its name and its plot, and so we offer a few iterations of Isildurs Bane (aka the One Ring, aka Saurons Ring), allowing you to wear it on your finger in silver and gold, or wear it around your neck, just like Frodo did. 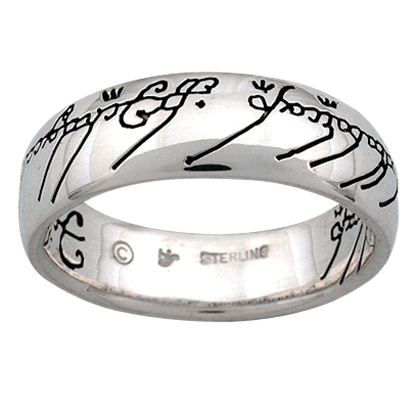 We also offer many of the other rings of power, including those worn by Gandalf, Elrond, Galadriel, (Narya, Vilya, and Nenya, respectively) and even the fabled dwarf lords, who used their rings to create vast treasure hordes. 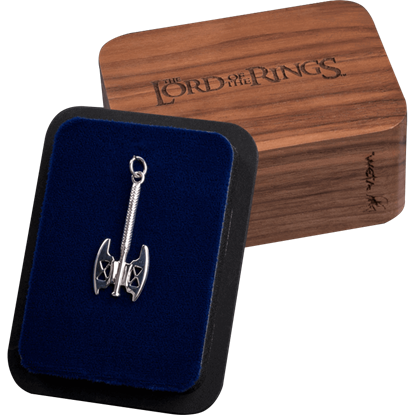 We have a few other accessories as well, including ornate key chains and key rings that are perfect if you want to keep a nice little Lord of the Rings collectible close at hand, and we even offer a brilliant replica of The Hobbits Arkenstone that would make a dwarf drool in envy if they ever caught sight of it (not to mention how it would captivate others, thanks to its brilliant, shimmering radiance). With your own One Ring, you can make yourself into a self-styled Lord of the Ring, and with any of our other great pieces of Lord of the Rings Jewelry, you can acquire a great collectible and accessory that you can not only show off to others in your home, but that you can also wear to show off its great look and style. 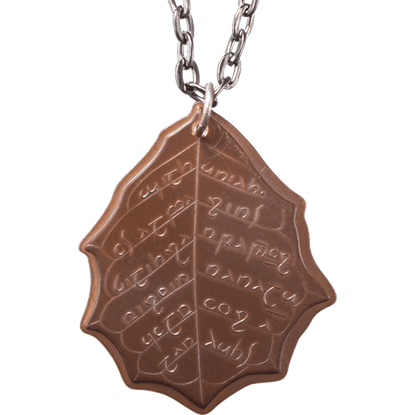 This Elvish Copper Leaf of Fall Necklace is struck from solid copper and is designed after currency that was made by the Noldorin Elves while under the rule of Celebrimbor, the great Elven-smith and forger of the Rings of Power. 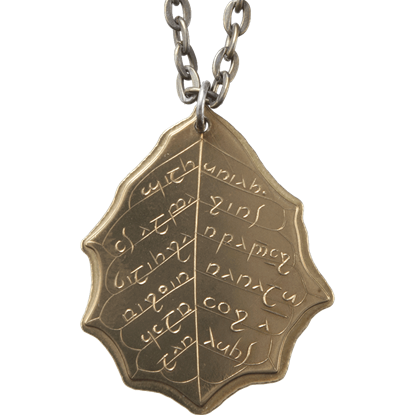 The only things more beautiful than the Elvish people are their language and their jewelry. Put those things together, and you get splendor beyond the human grasp. Or it was beyond grasp, until you got the Elvish Leaf of Summer Necklace. In the world of J.R.R. Tolkien, the elves valued silver above all other metals. For this reason, they once used it as currency. Some of those coins still exist and make pretty nice jewelry. 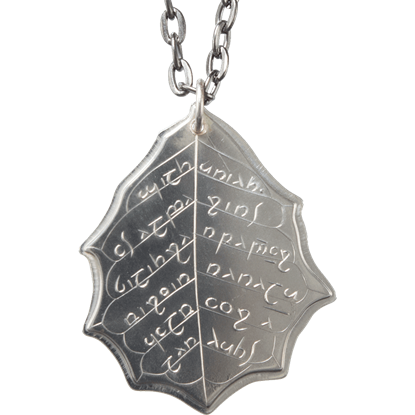 Just look at the Elvish Leaf of Winter Necklace. 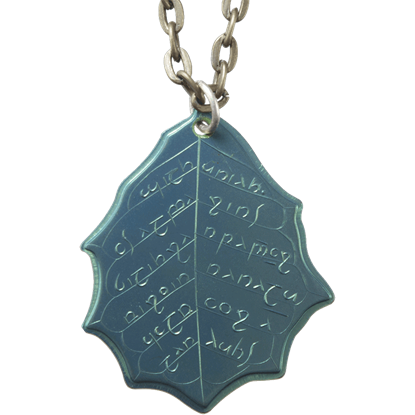 This Elvish Mithril Leaf of Spring Necklace is struck from solid niobium and is designed after currency that was made by the Noldorin Elves. Mithril is a fictional metal that is said to be both stronger and lighter than steel. This is a great costume necklace or even a great addition to your LOTR collection. It can also be a whimsical addition to your everyday outfits for a touch of fantasy style. It comes with a silver chain. In Middle-Earth, the Moon has a magical connection to the Elves, who use its light to write hidden messages. 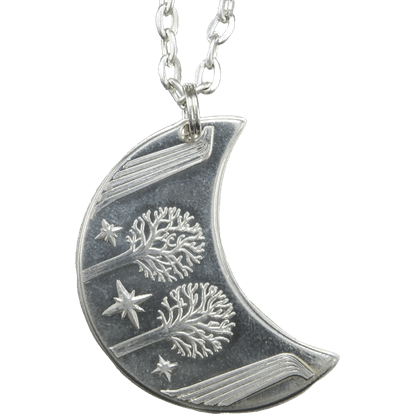 With the Rivendell Silver Moon Necklace, you can venerate this mystic link, as well as some other features of Elvish lore. Axes are among the most favored and famed of Dwarven weapons. In the hands of Master Gimli, they were a deadly weapon indeed. Now, you can sport your own dwarven axe by wearing this Sterling Silver Gimlis Axe Pendant! The sword Sting has seen years of service, and not only in the hands of hobbits. It is most well-known for being Bilbos sword, and then Frodos. Now, it can be yours, too, in the form of this wondrous Sterling Silver Sting Pendant!